By default, all Linux installations have plain black and white color prompts. Specific commands are coded to have color combinations under certain circumstances. For example, directories in the “ls” command are coded blue by default, and scripts are colored green. Similarly, the frequently used “grep” command is also color-coded to highlight matches. However, the Linux prompt itself is rather innocuous. In this article, we’ll show you how to change it to anything you want – a single color, or even a combination of them. Let’s get started. 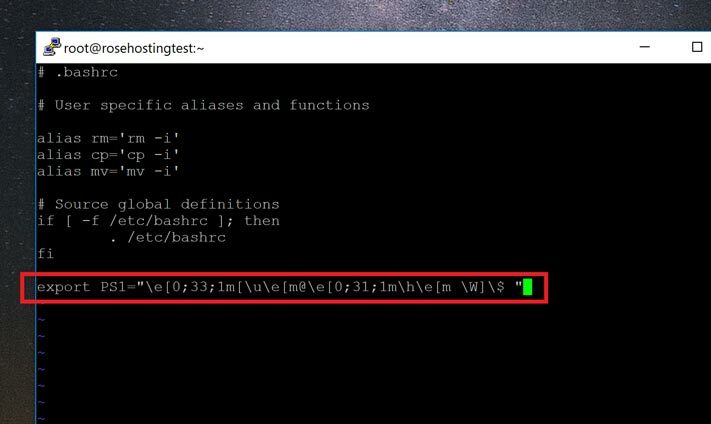 Here, “u” stands for the username, and “h” stands for the hostname. If we want, we can even have the username and hostname in different colors. To do this, we enclose the “u” and the “h” in different color codes. Save your changes. Now when you log in, you should have your customized prompt for your commands! While this might not be the most user-friendly user interface for changing your prompt colors, it is the most common way to change the colors. If you followed the guide correctly, you should now have a command prompt in the color of your choosing. Of course, you don’t have to do any of this if you use one of our Outsourced Server Support Services, in which case you can simply ask our expert Linux admins to configure the appearance of your command prompt for you. Just sit back, relax, and let our admins take care of the issue for you. They are available 24×7 to help you with your requests. PS. 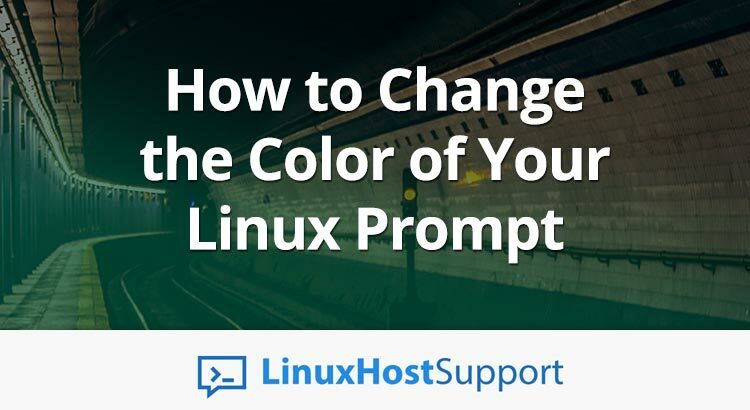 If you liked this post on changing the color of your linux command prompt, please share it with your friends on the social networks by using the share shortcut buttons, or simply leave a comment in the comments section below. Thanks.